The Fowler School of Law Entertainment Law Clinic provides students with a unique opportunity to work directly with low budget independent filmmakers and to serve as production legal counsel for a feature length motion picture. 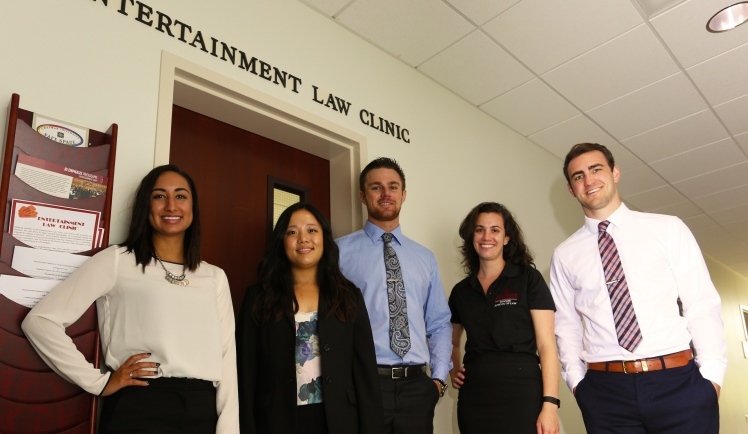 Filmmakers who have used the services offered by the Entertainment Law Clinic have won numerous awards and honors, including the Newport Beach Film Festival Audience Award for Best U.S. Film, the Netflix Find Your Voice Film Competition, and have premiered at the Los Angeles Film Festival. The names of our clinic students appear in the on-screen credits for each film. Under the supervision of the faculty, participating students set up corporations or LLCs, file for copyrights, and draft all production-related contracts and documents including crew, actors and locations agreements for real clients. 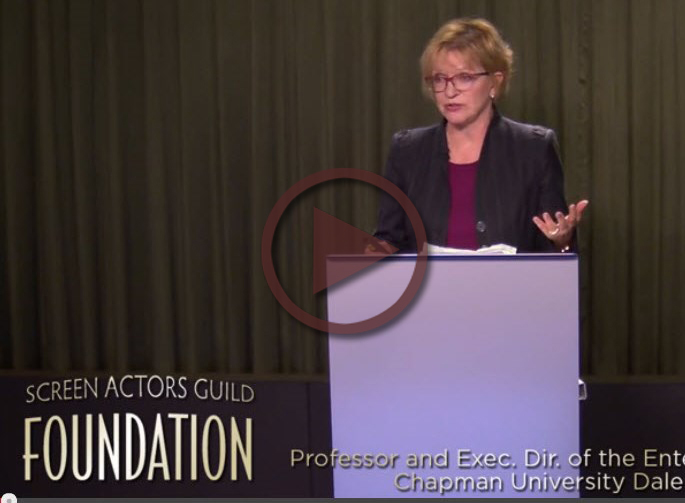 In conjunction with entertainment industry organizations such as the Directors Guild of America, Chapman Law Professor Kathy Heller, identifies eligible film(s) that are ready to begin production. The producer and/or director of the selected film then works directly with clinical students who will draft all production-related contracts and documents. "The experience was worthwhile because it provided me with actual practice, and not just theory. 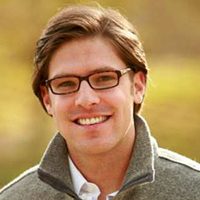 I learned how to interact with clients and that, in turn, actually helped to expand my knowledge of both law and business." This clinic is a three (3) unit course and students will complete the production legal work for a minimum of two films per semester. Prerequisite: Entertainment Industry Contracts. This course will satisfy the Practical Writing Requirement OR the Lawyering Skills Requirement; one course cannot satisfy both requirements. This is an approved elective for the Entertainment Law Certificate. 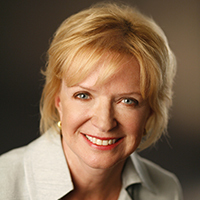 Kathy Z. Heller earned her undergraduate degree in education and her JD at the University of Wisconsin. She began her legal career as Assistant Counsel to the U.S. House of Representatives Subcommittee on Criminal Justice where her responsibilities included hearings and legislation on revisions to Title 18 of the U.S. Code (Crimes and Criminal Procedure), the U.S. Sentencing Commission, Pretrial Services and the federal death penalty. She then moved across Capitol Hill to serve as Counsel to the full Senate Judiciary Committee and Counsel to the subcommittees with jurisdiction over immigration, criminal justice, security and terrorism, and intellectual property. She then went to London, England and served as Assistant General Counsel at United International Pictures, the foreign distribution company for MGM, United Artists, Paramount Pictures and Universal Studios, where her work included copyright, corporate and employment law as well as negotiation and drafting of motion picture acquisition and distribution agreements. Upon her return to the United States, she was Vice President and Special Counsel for Congressional Relations at the Motion Picture Association of America, Inc., where she coordinated the formulation of policy and lobbying for the major U.S. motion picture studios. Since 1993 she has been in private practice representing corporations that provide products and services related to the entertainment industry, and corporations and individuals engaged in domestic and international media production and distribution. From January 2006 until joining the Fowler School of Law faculty in August 2007, she was the Director of the Media and Public Interest Institute at Chapman University's Lawrence and Kristina Dodge College of Film and Media Arts. She is a member of Women in Film and the British Academy of Film and Television Arts/Los Angeles. Mary Lee Ryan is an entertainment attorney with more than 25 years of experience in the domestic and international entertainment industries. 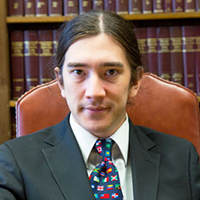 While still a law student at New York University, she enjoyed teaching Contract Law and was awarded the Walter Derenberg Fellowship in Copyright Law. Following her passion for music and business, Mary Lee Ryan moved to Los Angeles where she got her start in the entertainment industry negotiating media contracts as an associate for Manatt, Phelps and Phillips. In 1988, she joined Columbia and TriStar pictures in Burbank, where she negotiated music agreements for motion pictures and television shows, including the use of soundtracks, composers and publishing agreements. A year later, she joined Rondor Music International, Inc., where she was made the Senior Vice President of Business Affairs. There, she negotiated some major agreements, such as the sale of Rondor Music International, Inc. to Universal Music Group, which was reported by the Wall Street Journal to be a 400 – 500 million dollar transaction. In 2002, Mary Lee Ryan went into private practice, working as an attorney and consultant to individuals and companies throughout the entertainment industry. Mary Lee Ryan joined Fowler School of Law as a visiting assistant clinical professor in 2010. Chapman University Fowler School of Law, in conjunction with Chapman's Dodge College of Film and Media Arts, is proud to offer the first and fully integrated JD/MFA in Producing program in the country. Earn a certificate in entertainment law at Chapman University Fowler School of Law. "For more than five years, our clinic has been the only clinic that gives law students the opportunity to gain experience working directly with actual filmmakers making a feature film. Both students and filmmakers find that the experience is beneficial."